My native language is not English and I am having hard time understanding the meaning of the following statements which are to explain the laws of thermodynamics. 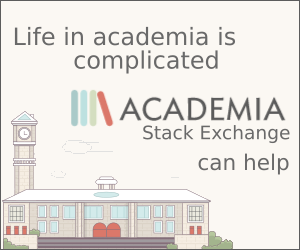 Questions on Physics Stack Exchange are expected to relate to physics within the scope defined by the community. Consider editing the question or leaving comments for improvement if you believe the question can be reworded to fit within the scope. Read more about reopening questions here. If this question can be reworded to fit the rules in the help center, please edit the question. The general metaphor here is that you're gambling. "You can't win." Yes, this means your profit can't be greater than zero. You go to your friend's house to play poker, and when you go home that night, you can't end up with more money (energy) than you started with. "You can't break even." To "break even" means to go home after gambling with the same amount of money you had originally. Saying you can't break even means that you can't have zero profit. Entropy will increase, so the amount of energy available to do mechanical work must decrease. "You can't get out of the game." The game is the same gambling game being implied in the first two metaphors. The application of the metaphor to the third law doesn't completely make sense to me; maybe it's just not an exact metaphor. Various sources online give interpretations like "because absolute zero is unattainable" or "there is no way to escape rules 1 and 2 because it is impossible to reach absolute zero." It makes sense to me that lowering an object's temperature to absolute zero -- which is impossible by the third law -- would in some sense mean that that object was "out of the game" thermodynamically, but it still wouldn't constitute a counterexample to the first or second laws. Do some of the laws of thermodynamics break down in quantum mechanics? Does the existence of matter and energy in the universe violate the second law of thermodynamics? Isn't the second law of thermodynamics just the law of large numbers in disguise?